Gérard Demazeau (07/06/1943-03/11/2017), professor at the University of Bordeaux, developed a wide range of thematic to understand the effect of high pressure at the “Laboratory of Solid Chemistry”, now known as “Institute of Condensed Matter Chemistry of Bordeaux” (ICMCB-CNRS). His significant research work led to more than 400 scientific publications and he supervised around 50 theses. For his remarkable scientific contributions, he received several prizes such as the “Paul Pascal Prize of the Academy of Sciences” in 1986, “Knight in the Order of academic palms” in 1996 and the “International Solvothermal & Hydrothermal Association Awards” in 2014. His work began with solid state chemistry and later he explored other domains such as Materials Science, Geoscience and Biosciences. After his retirement from University of Bordeaux in 2004, he continued his research activity as an Emeritus Professor until 2010. Being an inherent hard worker and his in-depth knowledge in pressure he was convinced about the benefit of the contribution of high pressure. In 2010, he created the company HPBioTECH in Bordeaux, France to develop Hydrostatic High Pressure (HHP) processes to be employed in various domains such as cosmetics, medical and food products. 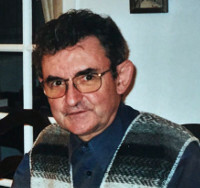 Gérard Demazeau's research contribution for over forty years enabled the innovative and technological mastery of a wide variety of devices for high-pressure synthesis in gas, liquid and solid media, which are still used today in the "High Pressure synthesis" department of the ICMCB.